How Can Hoarding Affect You Or A Loved One's NJ Home? It is estimated that approximately 6% of the United States population (about 19 million Americans) are hoarders, and the numbers keep growing. Most do not understand the concept of this. You can live a messy lifestyle without qualifying as a hoarder. It crosses a line into hoarding when the behavior interferes with the well-being of the individual. It can affect them socially, physically, emotionally, and even financially. Many people may see hoarding as a joke, or the topic of a TV show. The fact of the matter is that it is a serious condition that has both biological and psychological factors. Hoarding is generally associated with obsessive compulsive disorder. However, it is said that the rate of people who are hoarders is twice that of people who have OCD. Similarly to people with OCD, hoarders are likely to be very fixated on cleanliness and organization. This happens to contradict itself when hoarding develops into a severe state of disorder. Studies have shown that hoarders have unusually low activity in the area of their brain that controls thinking and emotion. This area of the brain becomes hyperactive at the thought of their things being destroyed or thrown away. Your average hoarder feels a lot of distress about the clutter surrounding them, but instead of cleaning it out, they will alter their lifestyle in order to justify keeping the unnecessary possessions. Hoarding is not so much being sentimental about every little thing, it’s more a fear or anxiety about getting rid of things. They hang onto things to prevent themselves from feeling this fear and anxiety. Hoarders often neglect home maintenance, seeing as there is no room to do anything. These homes suffer from a variety of allergens, pathogens, and other hazards that can be extremely unhealthy for one to be around. 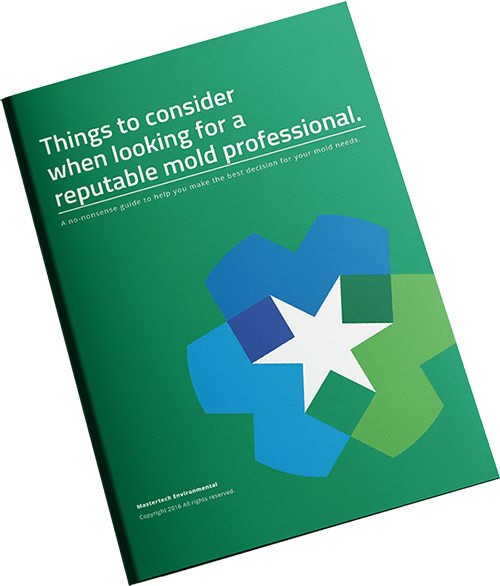 Neglected homes tend to contain various hazards such as trash, broken glass, spoiled foods, human and animal waste, and even mold and bacterial growth. It is possible that these distressed properties contain rodent and maggot infestations, and even electrical and fire hazards. Hoarding can be an extremely dangerous health risk for a person to live in this kind of filth. Any pets that someone may have will not only add to the filth, but can also be negatively affected by the poorly maintained habitat. It can be difficult discovering that a loved one is a victim of hoarding. You may want to help them and get to tidying up right away. However, cleaning up a severe hoarding situation is more than just going in and picking up trash. As previously mentioned, there are a lot of safety hazards involved when a property is neglected as such. 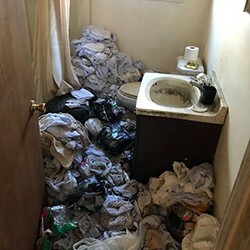 That is why there are professional hoarding cleanup specialists in South Jersey to assist when situations become critical. These hoarding cleanup professionals are specially trained to handle hoarding situations and other biohazards. They have special equipment that the average person would not keep on hand. Specialists are required to wear suits to protect themselves from the dangerous environment while they are doing the job. There is a very specific hoarding cleanup process. The first step will be to create critical containment chambers around the affected areas to isolate any contamination. Techs will cover & protect all electrical and HVAC systems. They will then install temporary air filtration devices to maintain safe indoor air quality while they are working. Non-permanently affixed items will be removed and will be stored or disposed, depending upon salvage-ability. Technicians will assess the condition of the building materials throughout. Non-salavageable materials will be safely removed and properly disposed. The next step is to properly clean and disinfect any affected floors, walls, ceilings, and any other fixtures with a fast acting disinfectant. After all that is complete, the professionals will safely and effectively deodorize the once-filthy environment. Hoarding can start off as harmless pack rat behavior. If it continues without intervention, it can create a dangerous routine. Discovering a severe hoarding situation can be very scary. Most people don’t even know the dangers of it, let alone how to handle it. If you know someone who is dealing with a hoarding disorder, try to help them see that they’re in danger. Contacting professionals to take over is the safest way to get someone the help they need.